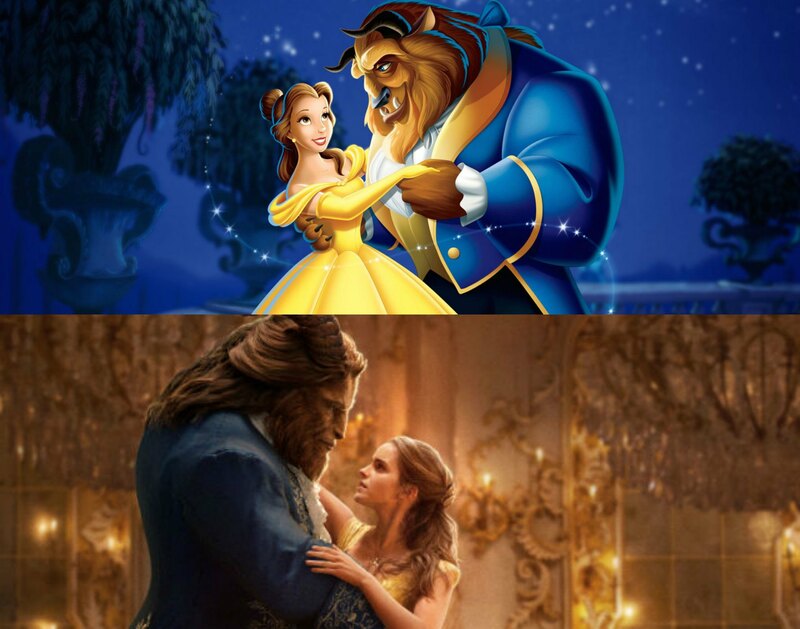 Since its release in 1991, Disney’s Beauty and the Beast has grown to become a true classic, beloved by generations of children and adults. 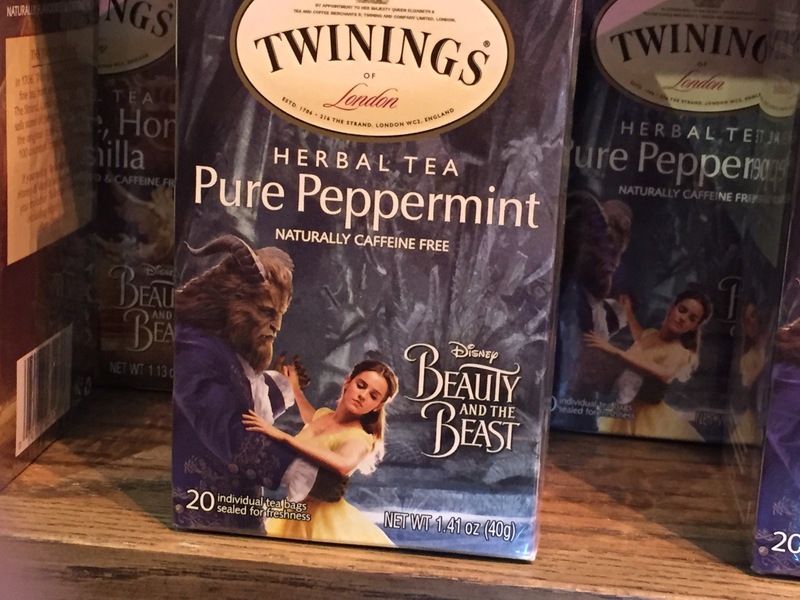 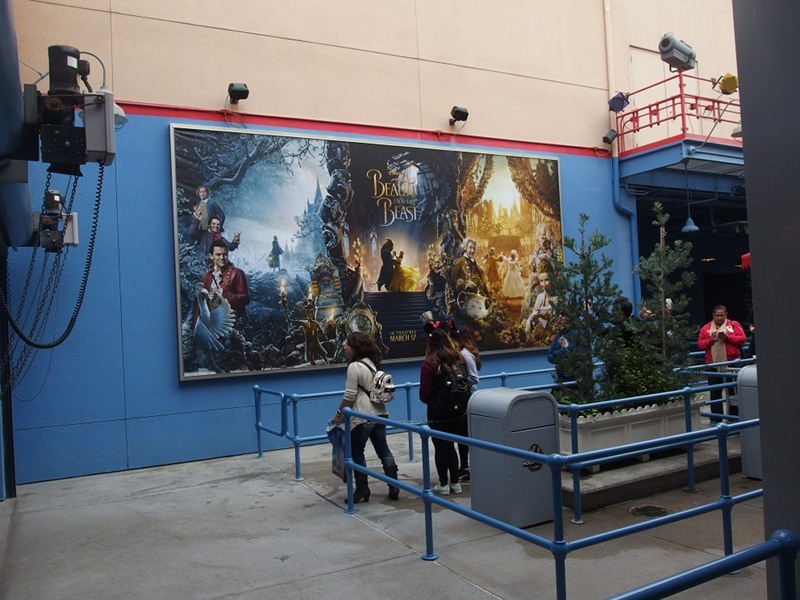 This popularity has led the film to find a presence in the domestic Disney Parks and beyond. 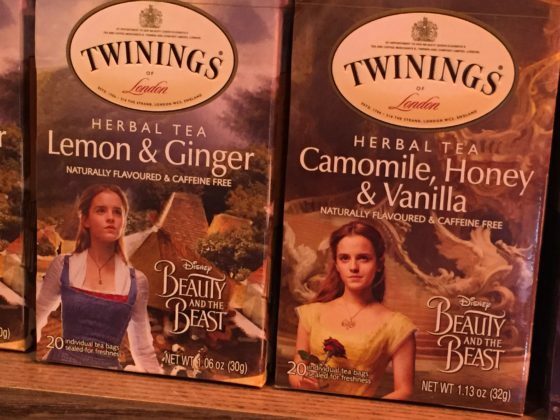 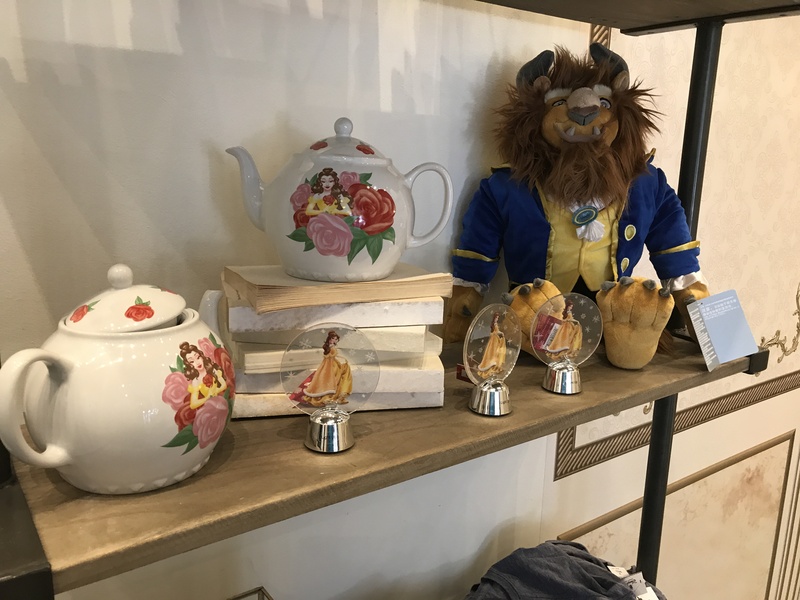 With the live-action remake of the film set for release March 17th, even more Beauty-themed entertainment, merchandise, and dining are now also available. 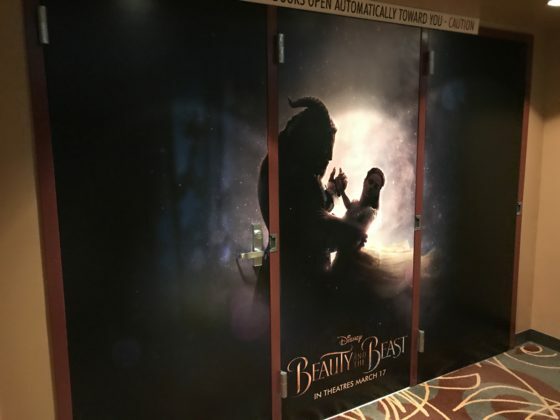 In this guide, we’ll take a look at what Beauty and the Beast experiences you can enjoy in the Disneyland Resort, Walt Disney World Resort, and aboard the Disney Cruise Lines. 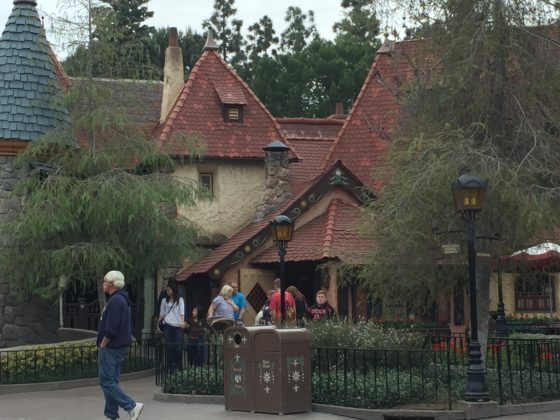 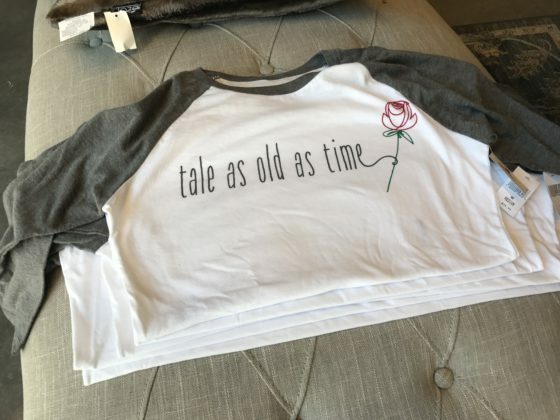 Red Rose Taverne is a limited-time offering. 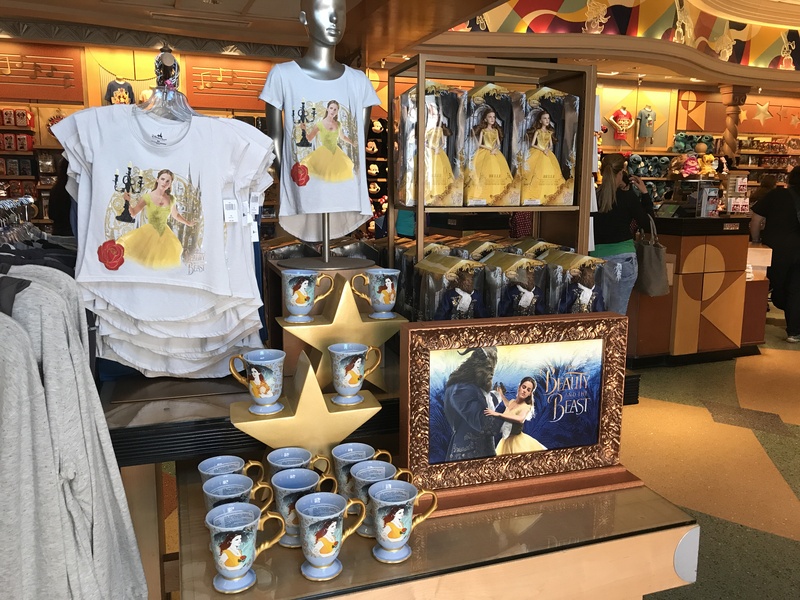 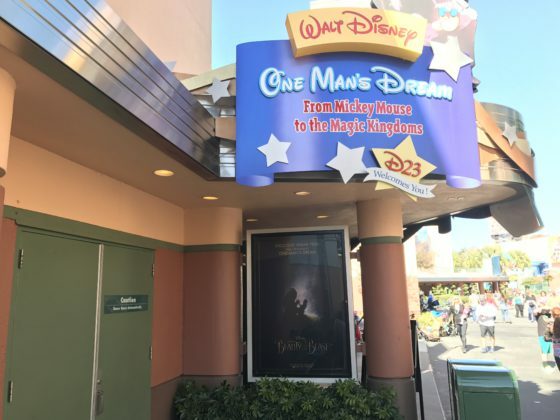 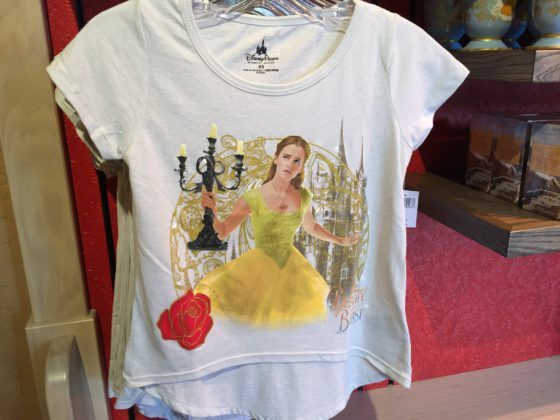 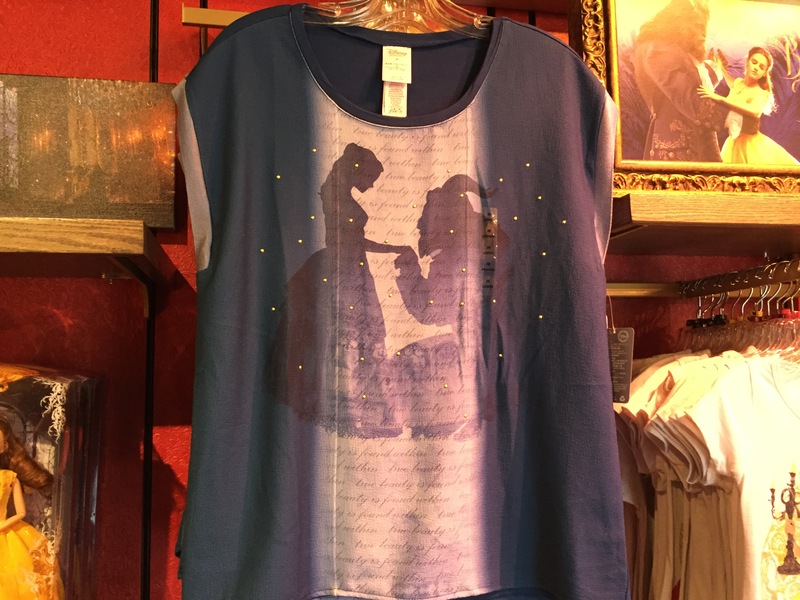 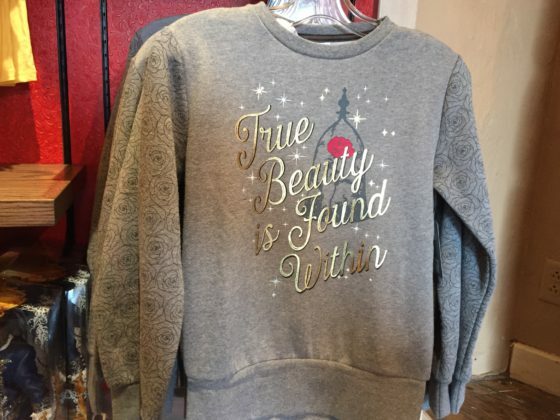 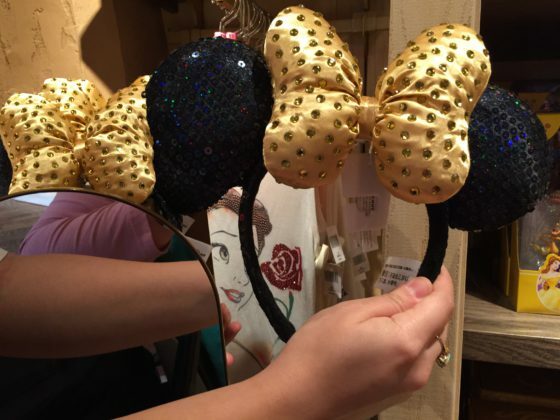 Royal Reception (Now Open) – This merchandise location next to Red Rose Taverne offers keepsakes, apparel and collectibles inspired by both the animated Disney feature as well as the new, live-action version. 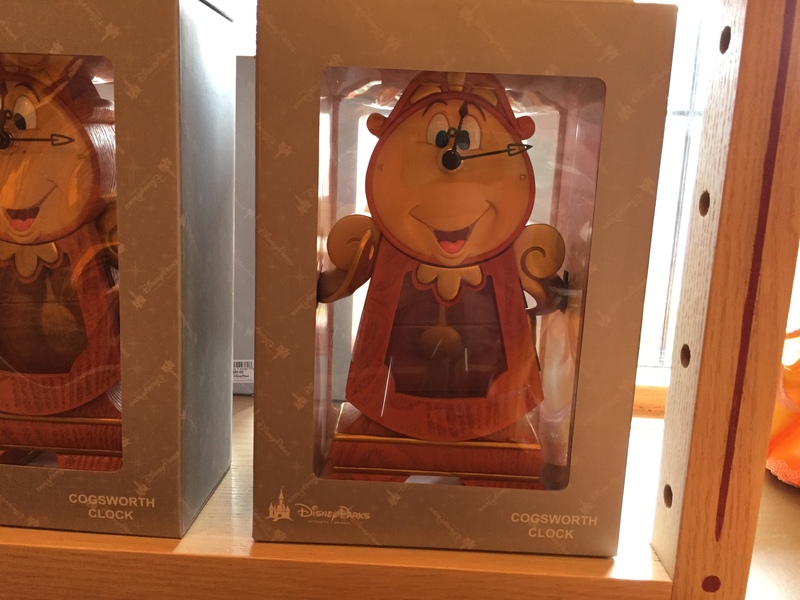 Gaston (Coming Soon) – The villain from the film will be stomping around Fantasyland. 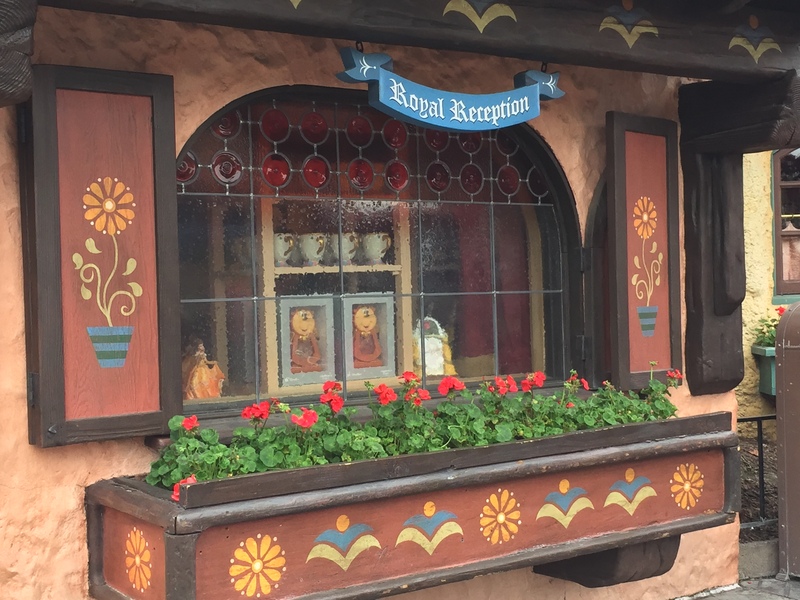 The Royal Theatre Presents “Beauty and the Beast” (Now Showing) – Beauty and the Beast will be presented by Mr. Smythe and Mr. Jones at the Royal Theatre in Fantasy Faire. Maurice’s Treats (Now Open) – Those twists that have become a Disneyland favorite will be available. 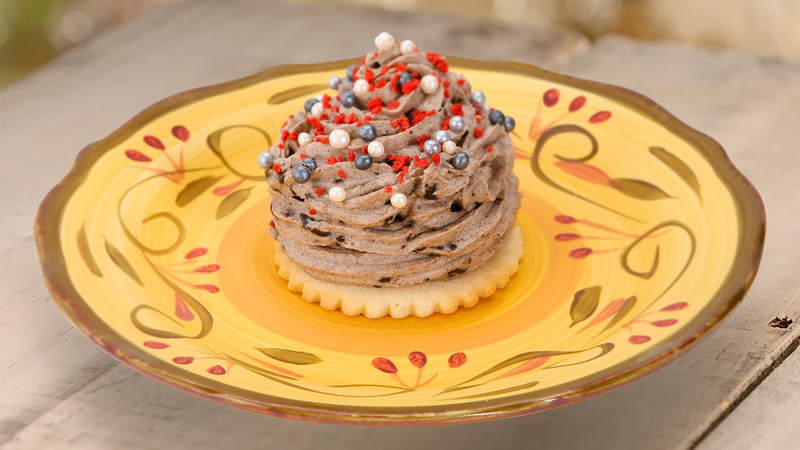 Disneyland is adding a “twist” to the twist with marinara, strawberry and Grey Stuff dipping sauces that will soon be available. 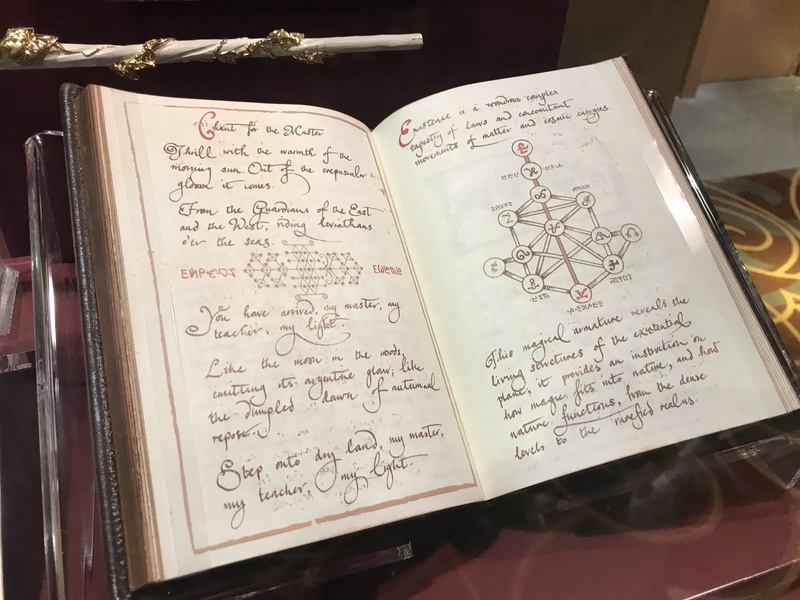 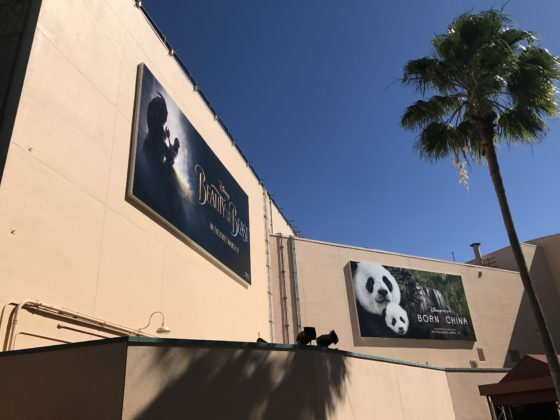 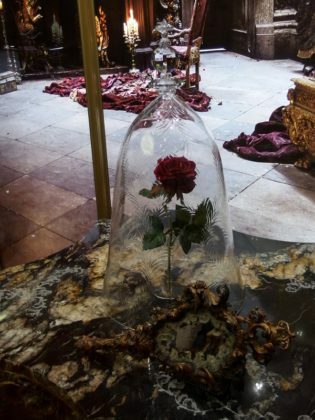 Beauty and the Beast Sneak Peek (Now Playing):A sneak peek of Disney’s live-action adaptation of Beauty and the Beast is being shown at Disney California Adventure’s Sunset Showcase. 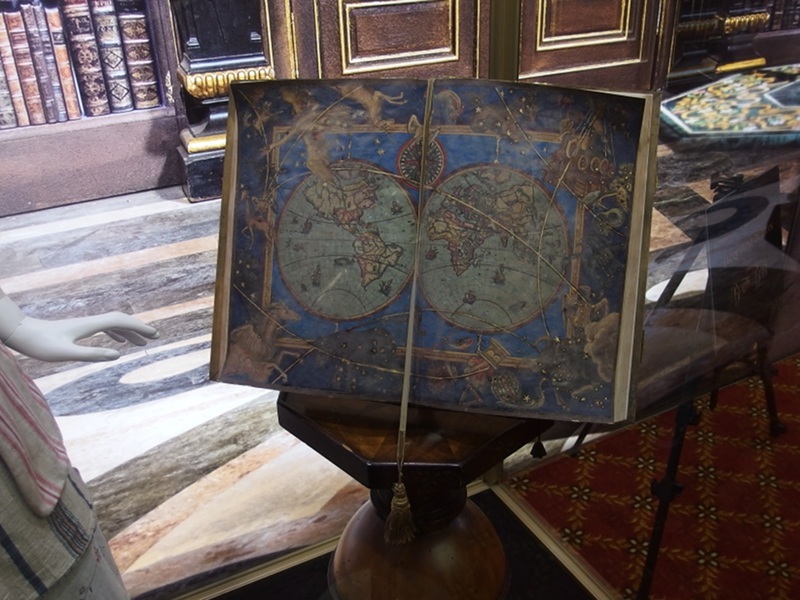 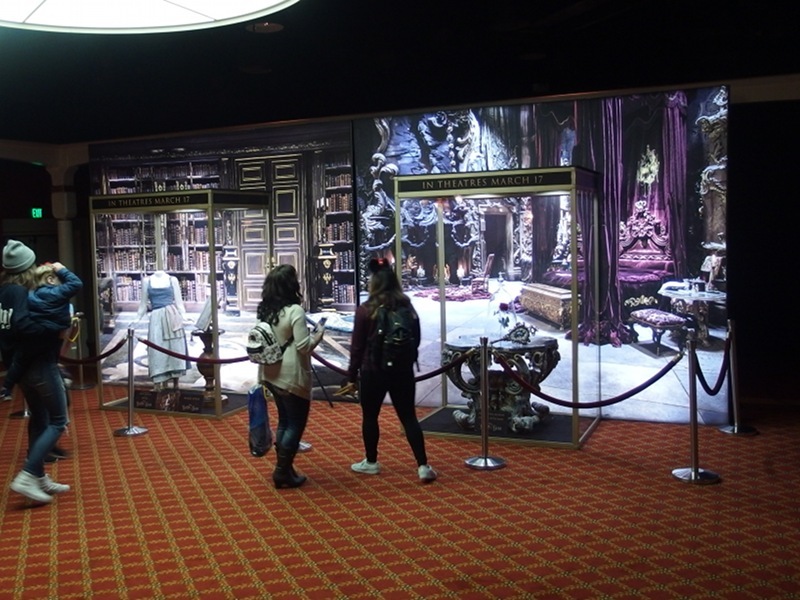 The presentation is in 3D with in-theater effects. 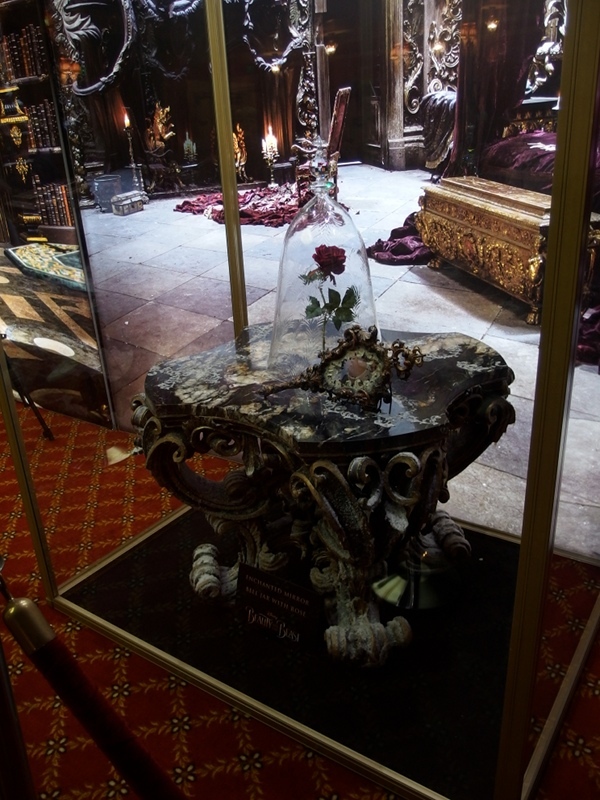 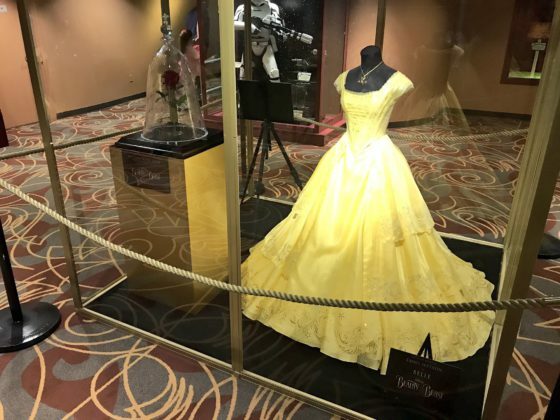 In the lobby you can see props and costumes from the film including the Enchanted Rose and Belle’s provincial town dress. 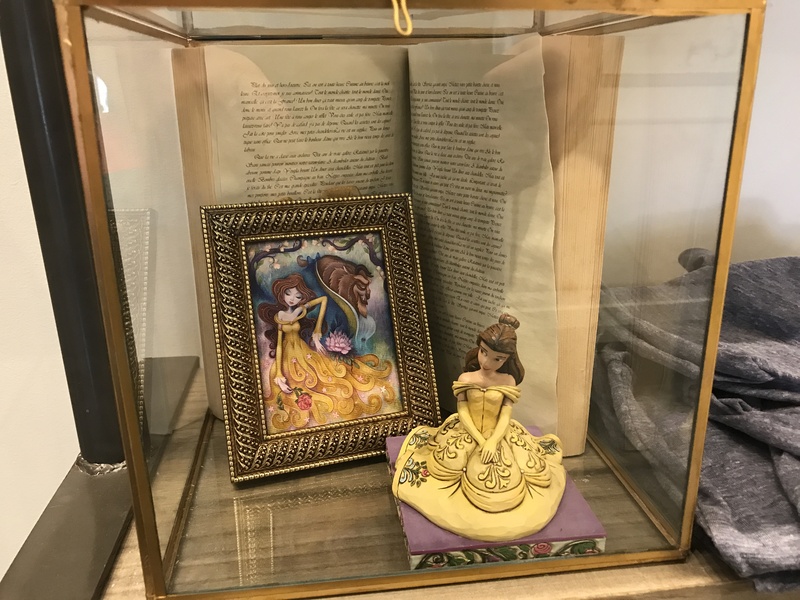 Enchanted Tales with Belle: Explore Maurice’s cottage and workshop before being magically transported to the Beast’s library. 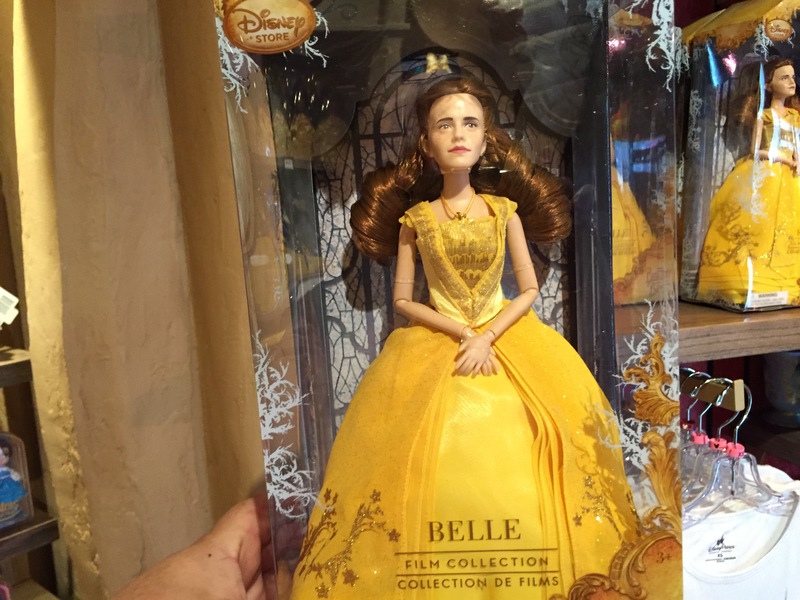 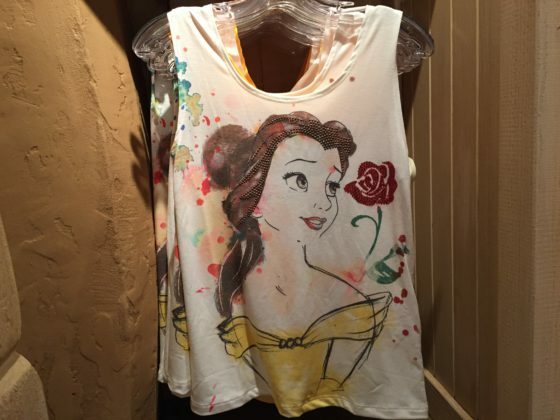 Once there, you’ll share moments with Belle, and you may even be invited to play a part in her famous story. 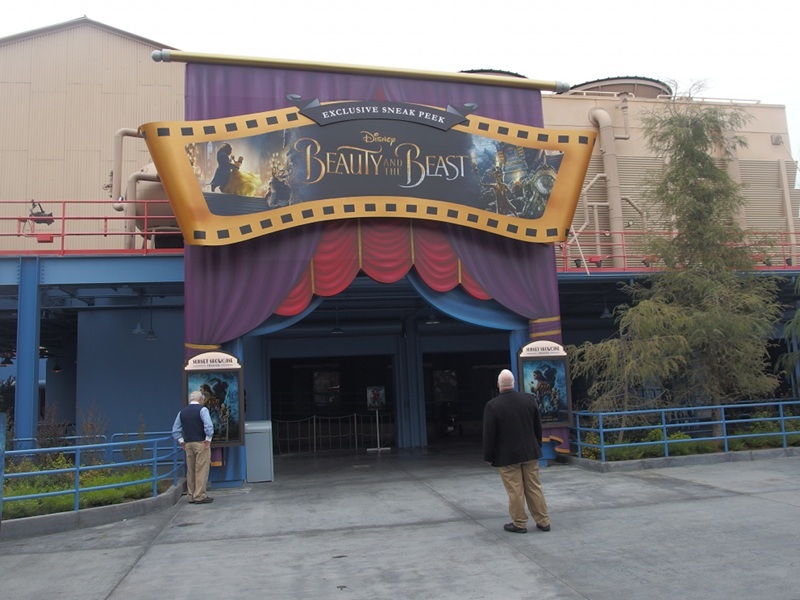 This attraction opened in 2012 as part of New Fantasyland. 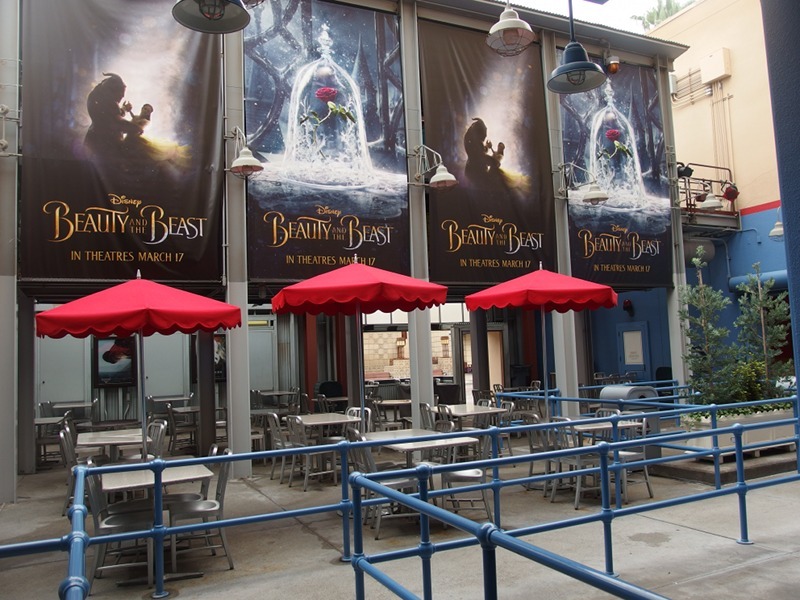 Be Our Guest Restaurant: This expansive and elegant 550-seat dining destination is located at the foot of Beast’s Castle in Fantasyland. 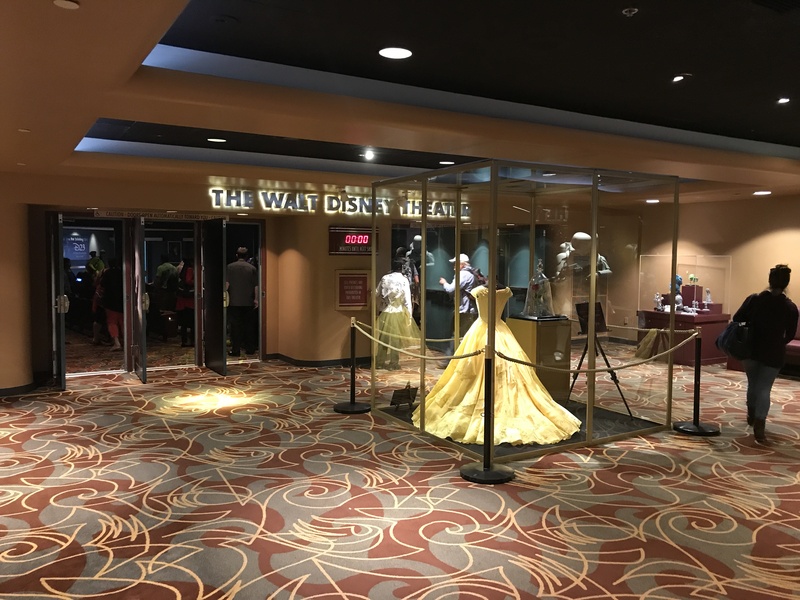 Whether you are enjoying a quick-service breakfast or lunch, or the stately elegance of a table-service dinner, you can relive the moments from the classic film. Advance reservations are highly recommended. 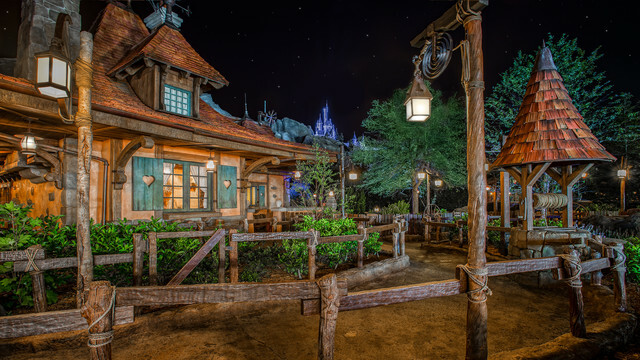 Gaston’s Tavern: This small counter service location serves up snacks such as mixed vegetables cups, hummus with chips, fruit cups and warm cinnamon rolls. Don’t forget LeFou’s Brew—the restaurant’s signature non-alcoholic drink. New Belle Topiary (Starting March 1): As part of the 24th Epcot International Flower & Garden Festival, the park will debut a new Belle topiary. 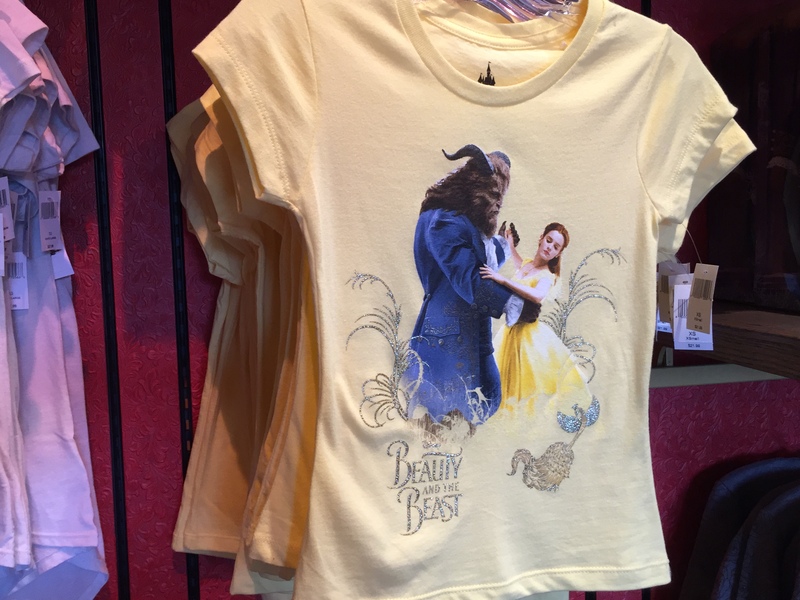 Located outside the France Pavilion with the Beast topiary, Belle will come to life with sculpted facial features and her yellow ball gown created with golden blooming Joseph’s Coat and Creeping Jenny plants. 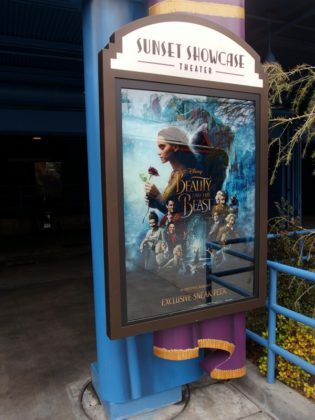 Beauty and the Beast- Live on Stage (Now Playing) The classic stage show, has added a new moment in celebration of the new movie. 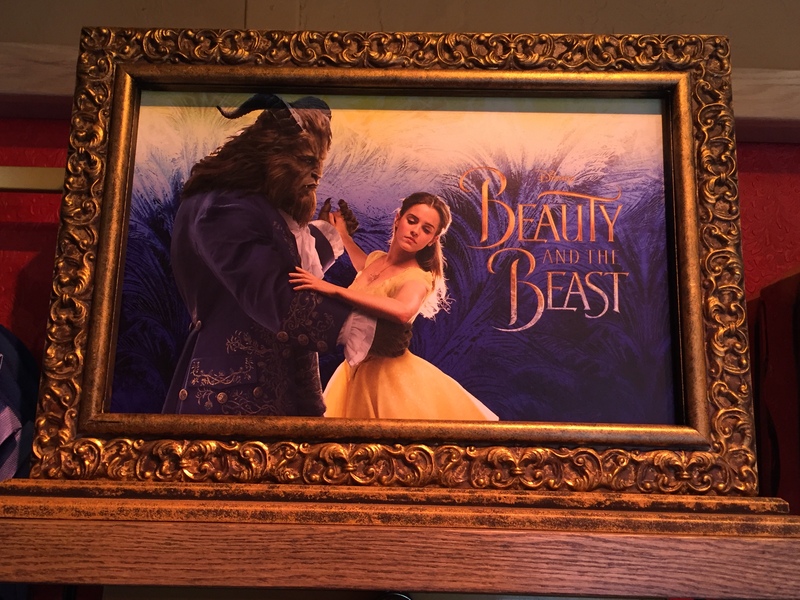 In this new-preshow, the host comes on stage to discuss the upcoming live-action adaptation of Beauty and the Beast. 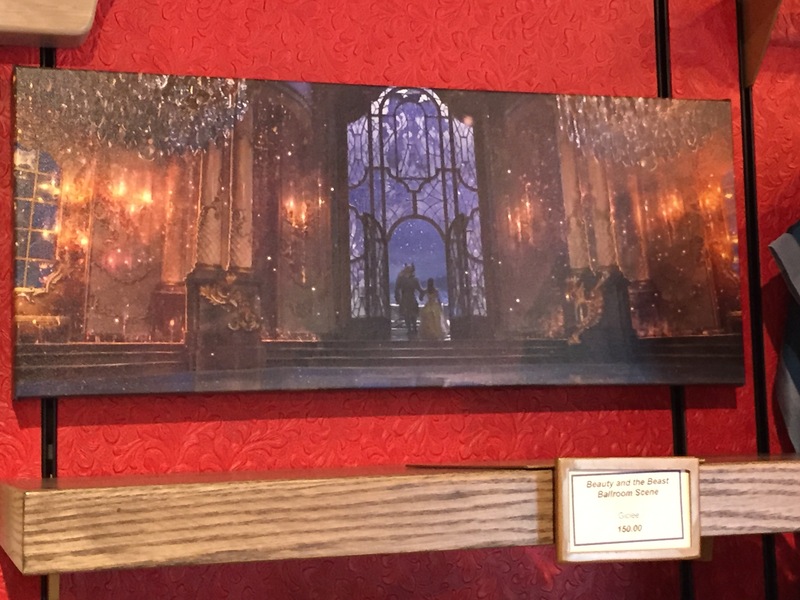 He mentions there are some new surprises along the way including a song that Maurice sings to Belle when she asks about her mother. 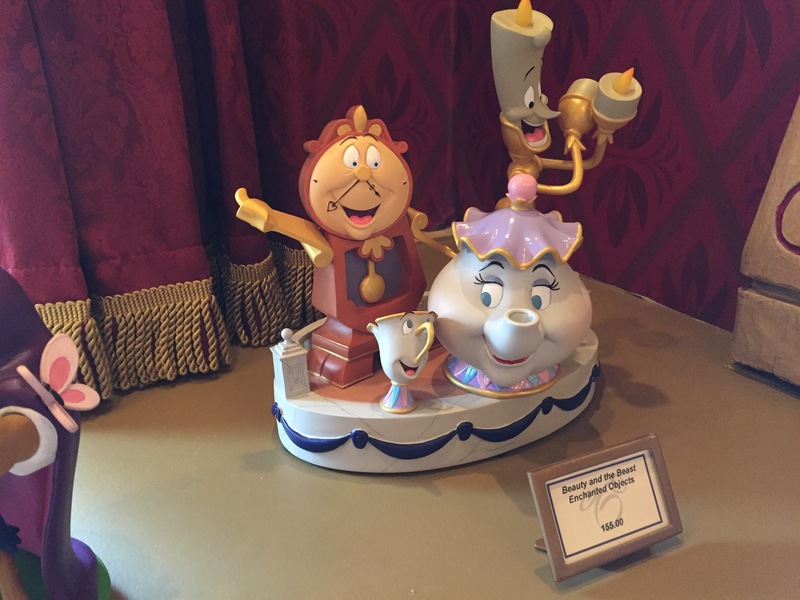 The host then sings the song which is making its public debut. During his performance of “Our Song Lives On,” the host brings up a father and daughter onto the stage. 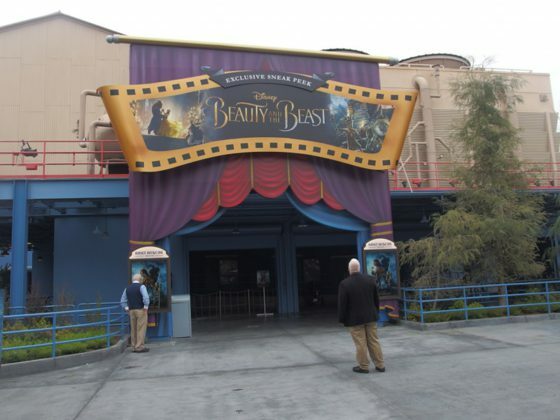 Beauty and the Beast Sneak Peek (Now Playing): Disney’s Hollywood Studios is hosting a 2D version of the sneak peek. 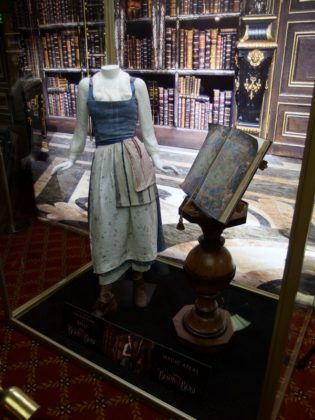 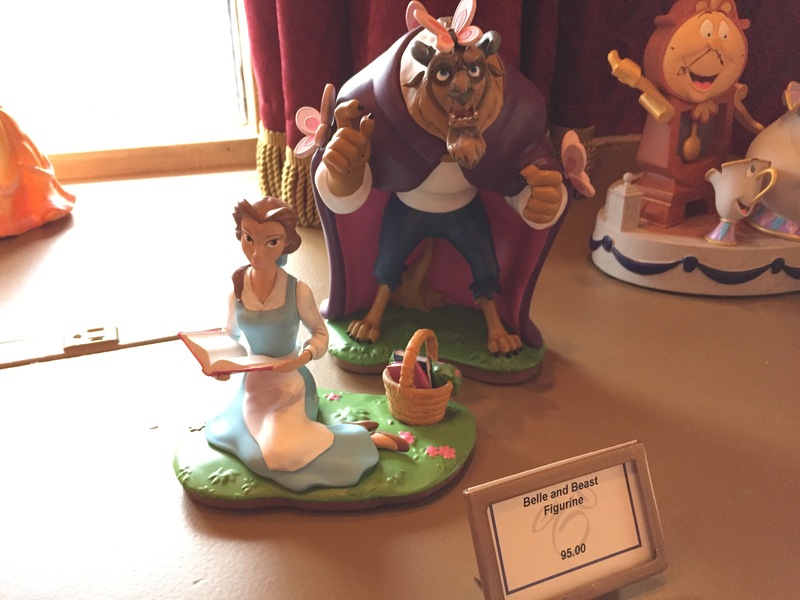 There are also props on display as well as Belle’s gown. 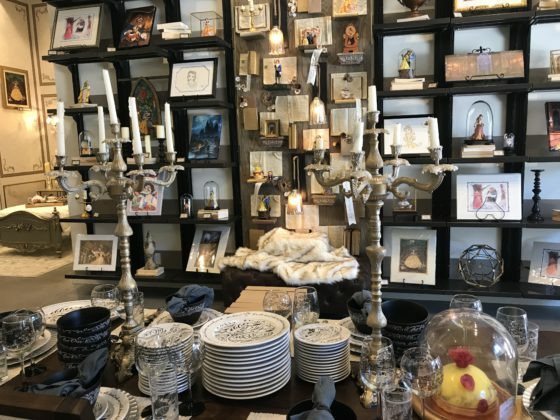 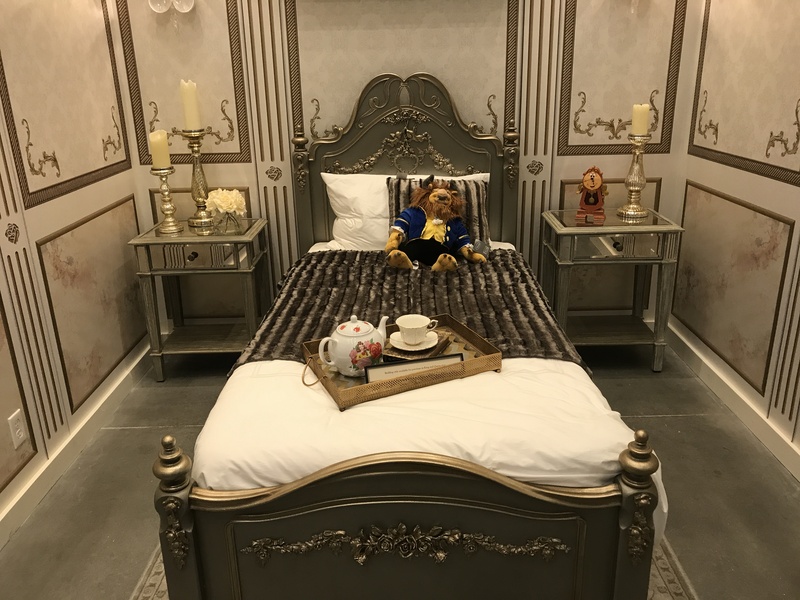 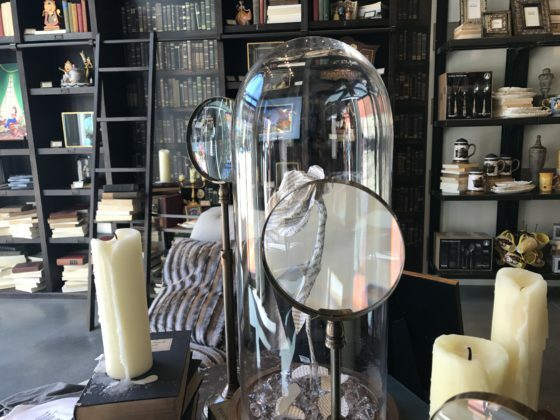 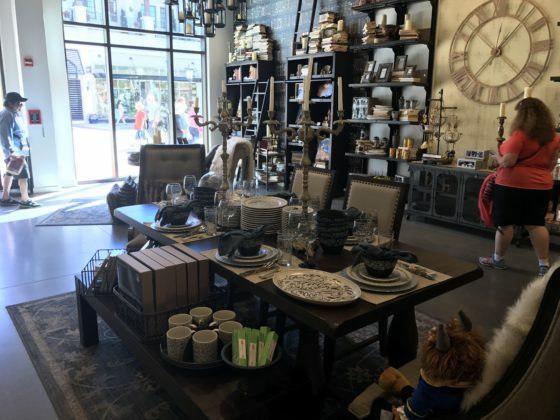 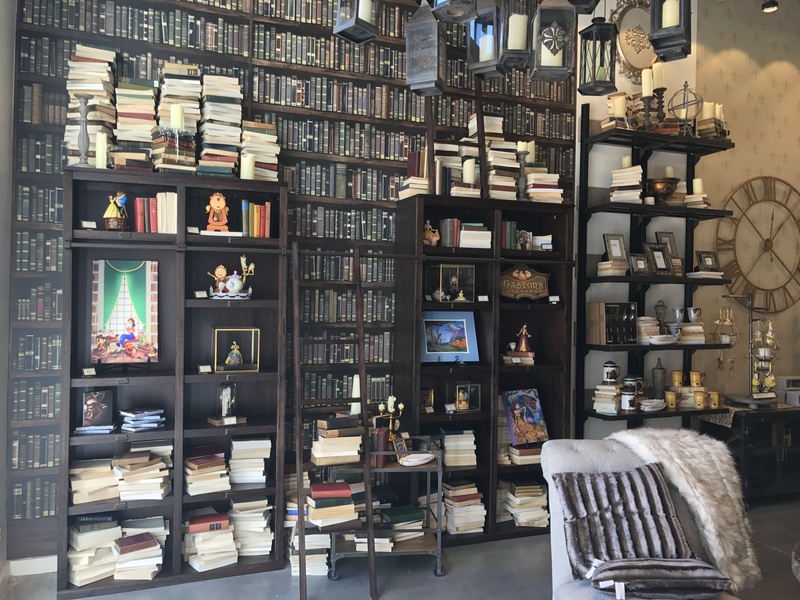 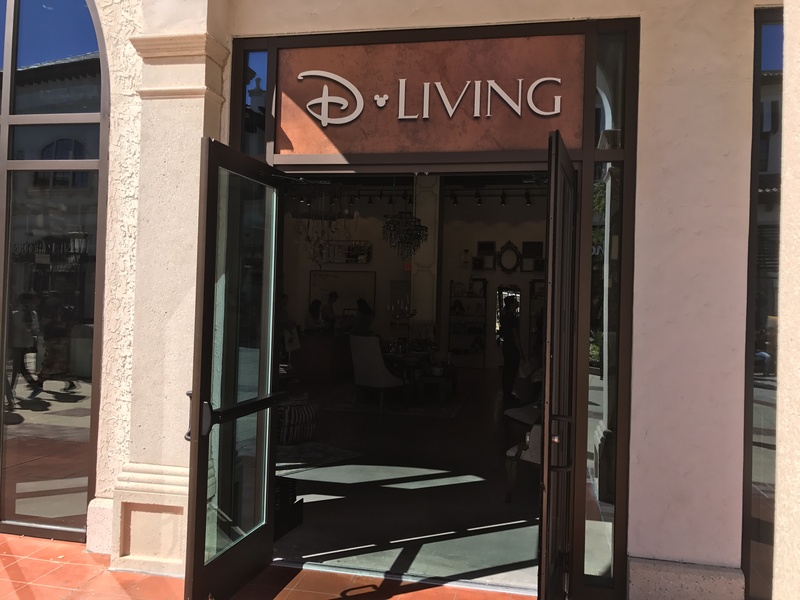 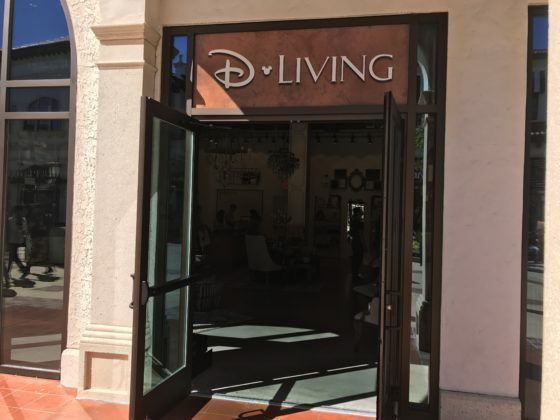 D-Living: This Disney Springs location has been transformed into a charming boutique inspired by the opulent castle in Beauty and the Beast. 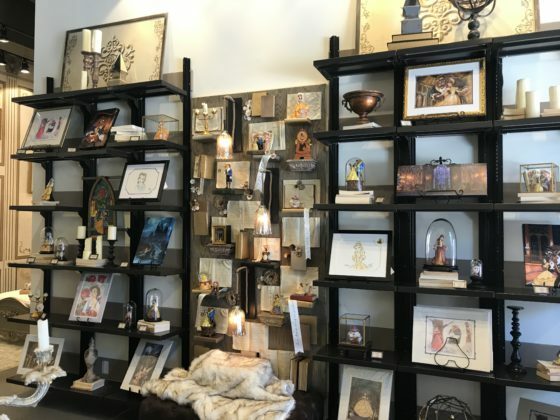 You’ll uncover home decor, furnishings and goods with a whimsically modern flair. 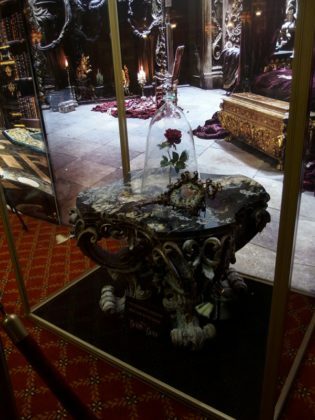 Amorette’s Patisserie: The talented cake decorators bring to life an Enchanted Rose Cake, inspired by the new film. 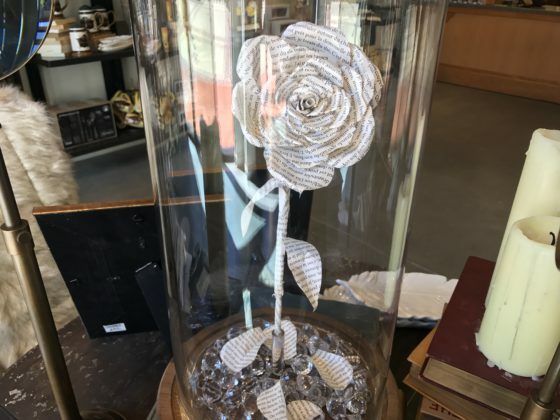 The Enchanted Rose Cake is now available and can be preordered by calling (407) 934-3500 or by visiting the shop at least 72 hours in advance.